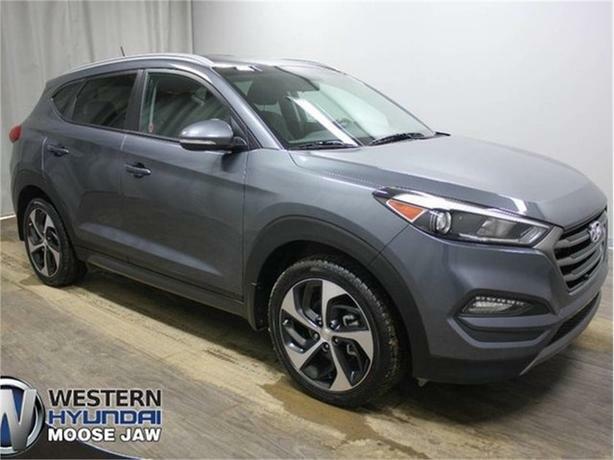 This one owner 2016 Hyundai Tucson 1.6L Premium AWD was well maintained by its previous owners and purchased brand new at Western Hyundai! The stand out features of this Tucson include ultra low kilometers, heated cloth seats, backup camera, and a powerful yet efficient 1.6L 4 Cyl Turbocharged engine. Our trained technicians performed a mechanical inspection on this vehicle and found it needed little more then a fresh oil change to be lot ready!